Lothian Vehicle Bodybuilders in Bathgate - Industrial Building. 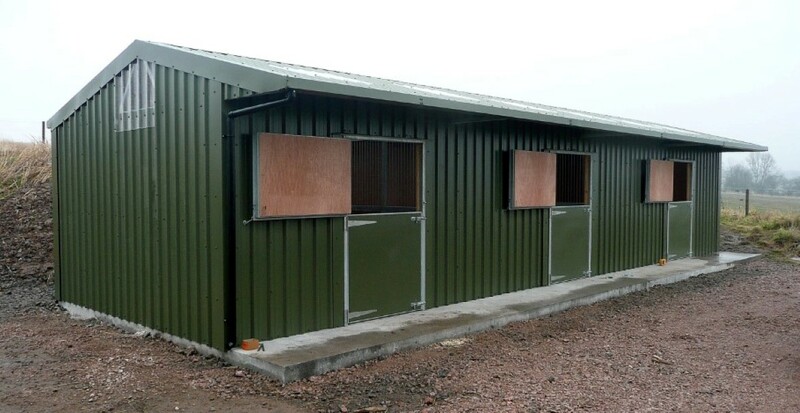 Ayton Smiddy Ltd established in 1985, specialise in providing high quality Agricultural, Equestrian & Industrial Buildings. We build structures which fulfil their purpose. All agricultural, equestrian, industrial & buildings look good and are economical and safe to build and maintain. We have the facility to design and construct steel framed buildings for agricultural, equestrian, industrial and commercial use, using the latest 3D design software. We fabricate the steelwork for the buildings in our workshop using skilled welders and fabricators and use high quality materials with great attention to detail. Our steel erectors adhere to strict Health and Safety regulations whilst undertaking this element, and adopt a systematic sequence method. We can apply for planning permission, building control approval and for the consents to discharge. On more complex projects we often work with other professionals including the architect, project manager and engineers. We have the design capability to apply for planning permissions, building regulations approval and environmental consents to discharge. Offering you a complete design & build service.